It's October (already!?) and that can only mean one thing to design stationery devotees - a new Delfonics Diary! Dated from October 2011-December 2012 and perhaps, possibly, probably the best diary range in the world. I feel like I can say that with some qualification. See, for over 260 days a year, I get to be immersed in design stationery, surrounded by it, and like everyone I have my favourites. But every October when i see that Delfonics Diary range I just can't help but be impressed by how absolutely, consummately perfect it is. To try and describe it in words will only really lead to hyperbole and probably some overly poetic animism. I may even end up singing with a lute beneath a Delfonics Etoffe Diary's balcony, rose betwixt my teeth, so I'll go easy on the description. Suffice to say, they are so thoroughly considered in their design and so faultlessly realised in their production that their utility knows no bounds. The paper passes a fountain pen test, the formats make sure you're keeping everything on track and the extra sections keep you covered. Aesthetically, their preeminence is clear and creates a sense of preciousness, even of companionship...see, it's hard to hold one for a while and not start getting all sentimental about it. 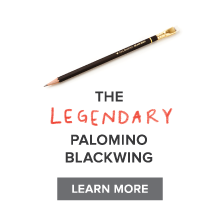 But back to Delfonics and the yearly realisation that this could just about be the best stationery brand in the world. 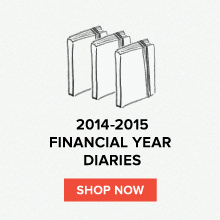 It's hard to, but forget the diaries for a sec and consider the whole of Delfonics. It's such a concise collection, so harmonious in its parts. Everything comes together so well and insists on personal expression, that extension of yourself that we all love stationery for. Whether this is from utility (and an intellectual extension of self) or from aesthetics (an extension of personal taste and style), it is always there. And it really is personal. The variety of colours in each line and the way that they are designed to come together, the sum always greater than the parts, permits this wonderful individual style, a product range perfectly malleable to each person's tastes. And of course there is that Delfonics Rollbahn Notebook. I won't hesitate here - the Extra Large notebook is my vote for the world's best notebook. I'm not using one right now, it may be weeks before i pick one up again, but as an all-rounder, if I am asked to choose only one notebook which i would have to use every day, forever more, then I am taking this. And not thinking twice about it. And the reasons why are the same reasons that i have this annual epiphany that Delfonics is outrageously close to perfection in everything they do. And the moment that brings this to the very front of my brain is the moment we start unpacking boxes of Delfonics Diaries. do you know what the dots on the numbers in the daily book mean? they seem so random! 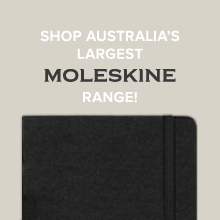 2012 Moleskine Diaries are Back! Just Landed: O-Check Design Graphics! All new Lamy Al-Star Colour - Ruby! !